For more information about the book, go to The Me in Medicine: Reviving the Lost Art of Healing. What follows is a typical visit to the physician for back pain in the United States: A person hurts his or her back and sees a doctor for a complete workup. The clinician, careful not to miss anything, orders an MRI that is subsequently read by a distant radiologist. The report is sent back to the physician who, depending on the results, calls for a follow-up appointment to discuss outcomes. It is likely that the patient is sent to a physical therapist, who provides a therapy regimen based on the radiology imaging and his or her own experience without need for the physician’s specific prescription. While much can and has been written about this typical medical experience, from its inefficiency to its reliance on medicalization and overdiagnosis, it is the fragmentation and lack of contextualization that Dr. Patrick Roth has highlighted in his latest work, The Me in Medicine: Reviving the Lost Art of Healing. With an increasing reliance on technology and the expansion of artificial intelligence in medicine, Dr. Roth paradoxically calls on physicians to embrace their philosophical faculties. He proposes that narratives, developed through introspection, as well as teaching, mentoring, and writing, are the missing components in our medical system today. The onus is on both patients and physicians to develop individual and, when they come together for a clinical encounter, shared narratives on health, disease, and treatment for better overall care. For the patient, narratives mean coming to understand how he or she views health and disease. As Jerome Groopman explains in his book, Your Medical Mind, and Dr. Roth highlights in his, people have a spectrum of temperaments with regards to intervention: Some believe strongly in the human body’s regenerative capacity (naturalist) and others believe strongly in science, technology, and medicine (technologist). These proclivities are important for the patient to consider when making medical decisions, but only represent one piece of the puzzle. Patients must also consider unconscious cognitive biases they have when making their decision for treatment. Common cognitive biases include the availability heuristic, a mental shortcut in which a person makes decisions based on readily available examples, and hyperbolic discounting, in which a person discounts future reward because of the time delay between the decision and the reward. For instance, using the availability heuristic, a patient may be hesitant to undergo a procedure because a friend had a similar procedure that did not end well, whereas using hyperbolic discounting, a patient may prefer a procedure because they perceive the reward as immediate as compared with the longer treatment course of physical therapy. While highlighting the patient’s decision-making heuristic is certainly not easy, it serves to both increase patient autonomy and satisfaction with outcomes. The complexities of these medical decisions is the space where physicians, equipped with their own medical narratives, help the patient decide what is best. The physician has the ability to provide the context necessary for the patient’s choice. For this reason, it is incumbent on the physician to become a good storyteller. It is not enough to lay out all the options with statistics or paternalistically make the decision. Rather, believes Dr. Roth, the physician most effectively communicates through anecdotes and analogies for understanding disease ontology and treatment decisions. There are a number of tools at the disposal of physicians and patients to accomplish these lofty, yet achievable goals. With honed doctoring skills, the physician can extract the patient’s motivations and contextualize them to reach a sustainable and satisfactory outcome. Further, the physician can foster self-efficacy and promote a deep education about disease. The patient, on the other hand, possesses knowledge that the physician is not privy to, i.e., the phenomenology of the disease. By joining support groups and forming online communities, patients empower themselves and shape the narrative of their needs for the medical community. Engaging in these exercises shapes not only the character of the patient and physician, but the disease process too, as it reforms a patient’s reality through changes in their thoughts and perceptions. JP Mikhaiel is a medical student at Georgetown University School of Medicine. After earning his BS in neurobiology and philosophy at Georgetown University, he spent two years at the NIH researching brain-related disorders. He is currently a member of the Literature and Medicine track at Georgetown University, and serves on the management board for the coaching program, A Whole New Doctor. His work has been published in Scope, Georgetown’s literary journal. Mikhaiel plans to pursue a career in neurology. RX: A Graphic Memoir by Vermont-based cartoonist Rachel Lindsay is a memoir borne out of passion, determination, and commitment. Each chapter is short and episodic, and provides a chapter in the story of her unraveling: her time committed to a mental health institution and how she got there. Lindsay writes with a wry dark humor about her struggles to maintain stability with bipolar disease while working in a corporate job. Lindsay, whose comic strip, “Rachel Lives Here Now,” about her life as a New York transplant in Vermont, appears weekly in Vermont’s statewide alternative newspaper, Seven Days , has created a memoir that serves as a timely narrative for what many are experiencing in the United States. For the author, as with other Americans with pre-existing conditions, her corporate job is a means to an end, providing her with health insurance and prescription medication coverage. Despite feeling unhappy at her work, she continues at her job. She gets a promotion, which means she gets thrust into the corporate pharmaceutical world and works on a marketing campaign for an antidepressant, Lindsay continues to feel even more trapped. As a graphic memoir, Lindsay’s style is frenzied, a visual staccato beat that moves her narrative along. The lack of gutter space makes the narrative feel overwhelming at times, yet each panel is concise and detailed. Often metaphorical, her chapters begin with a reflexive lens into the story. In one, she appears in a straitjacket. In another, she’s an “urban badass” ripping her way out of wall graffiti to symbolically step on the dead wind-up toy of her in the first chapter, sunglasses on, smoking, and giving the finger. RX is also a book about a millennial, a millennial with a mental health condition. Trying to find balance between where you are and where you feel you ought to be, I identify well with that feeling. At a party in Brooklyn in 2010, a partygoer says to Lindsay, “Screw your corporate job and really commit yourself to your art. You’re really talented! !” And throughout her memoir, she struggles to find a creative outlet while maintaining her corporate veneer. Quite literally a wolf in one chapter, dressed in sheep’s clothing, she shows us the precariousness of just passing. And its toll on her mental health. Jane Zhao is a lover of comics because when she has no brain or patience for words, she can escape into image. She is a graduate of the Narrative Medicine program at Columbia University and studied neuroscience at McGill University. She currently works in research in Canada. Talk to her about poetry, Donna Haraway, health policy, and muscle pain. The world of pediatric oncology is one of extremes. The diseases strike unexpectedly, cruelly, and without discernible cause in the midst of childhood, a time of remarkable growth and innocence. While these diseases were once a death sentence, the improvements in survival rates (in places where the latest treatments are available) have been dramatic: five-year survival rates of near 90% compared to 10% just forty years ago. Even so, the burdens of disease and treatments are high, and of course, death still comes too often. Among the tribulations of the pediatric cancers, beauty can be found in the lives and loves of the children and families. One aspect of beauty is the compassionate connections that can develop between the children affected. In The Moon Prince and the Sea, Dr. Daniela Anderson captures this beauty in both words and pictures as she tells a fantasy story based on actual patients. Sumit is a boy in rural India who travels for days to get to the hospital for treatments for an undefined serious illness. As he physically recovers, he connects with other children in the hospital. He also learns of a girl named Marina in a distant country (the US) who has cancer as evidenced by her bald head and connection to an IV pole. He is touched by her story and dreams of her. He paints her a picture with two moons—one on earth and one in the sky—and sends the picture and a brief letter of encouragement to Marina. Far away, she receives his gifts and feels both connection and comfort. After he returns to his country home from the city hospital, Sumit is not able to return for more treatments because of the family’s lack of resources. A caring nurse travels to Sumit’s home to find him with hopes of continuing his treatment. The neighbor children, however, inform her that Sumit is now “in God’s home.” But in Anderson’s imagining, the story has not ended and Sumit’s connection to Marina continues. Back in her hospital, Marina waits until family and friends are ready, and then she closes her eyes and takes her last breath. In the next place, she and Sumit are united, healed, unafraid, and bound together. Anderson’s watercolor illustrations are rich and vibrant, and they evoke feelings of comfort and compassion. Sumit has a yellow silk cape that both connects him to the moon and presents him with a certain regal dignity and resilience. His cape and bearing mark him as “the moon prince,” while Marina’s name means “the sea,” and thus the book’s title. While Marina is surrounded by family and the best of medical care and resources, there is a sense of vulnerability as her disease puts her beyond all efforts of cure. Understandably frightened, she has a quiet strength as she waits to take her last breath until her family is ready. Hand in hand, Sumit and Marina then travel on together, connected to the mystery of the unknown while rooted in the known, which is love. Greg Adams, LCSW, ACSW, FT is Program Coordinator for the Center for Good Mourning and Staff Bereavement Support at Arkansas Children’s Hospital in Little Rock, Arkansas. His work of 27 years at Arkansas Children’s Hospital includes time in pediatric oncology, pediatric palliative care, and grief support for staff and community adults, adolescents and children. He also writes and edits a grief/loss electronic newsletter, The Mourning News. Other current related experiences include teaching an annual grief/loss elective class in the University of Arkansas-Little Rock Graduate School of Social Work and chairing the Credentialing Council for the Association of Death Education and Counseling. Public policies are often determined by three main components: ethics, science, and social considerations. In the 21st century, among calls for ‘personalized medicine,’ few topics raise as much concern as genes, genetic diseases and genetic interventions. 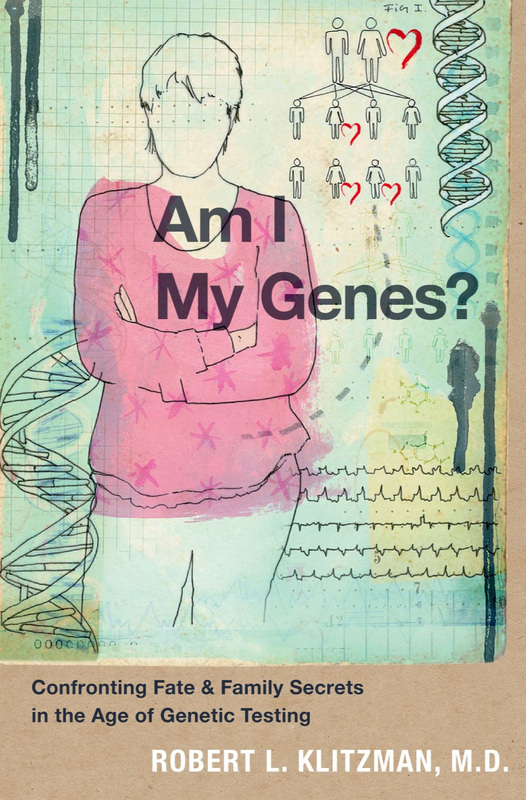 Am I My Genes? : Confronting Fate and Family Secrets in the Age of Genetic Testing, a book by psychiatrist and ethicist Robert L. Klitzman, MD., published by Oxford University Press, is timely, providing a valuable insight into the social considerations surrounding genomic medicine. Dr. Klitzman, who is Professor of Clinical Psychiatry and the Director of the Masters of Bioethics Program at Columbia University, interviewed 64 individuals who were sick, or had an increased risk of being sick, with one of several genetic diseases: Huntington, breast and ovarian cancer, and Alpha-1 antitrypsin deficiency (AAT). He provides an in-depth summary and analysis of the responses, opening a window to the interviewees’ lives, fears and dreams. 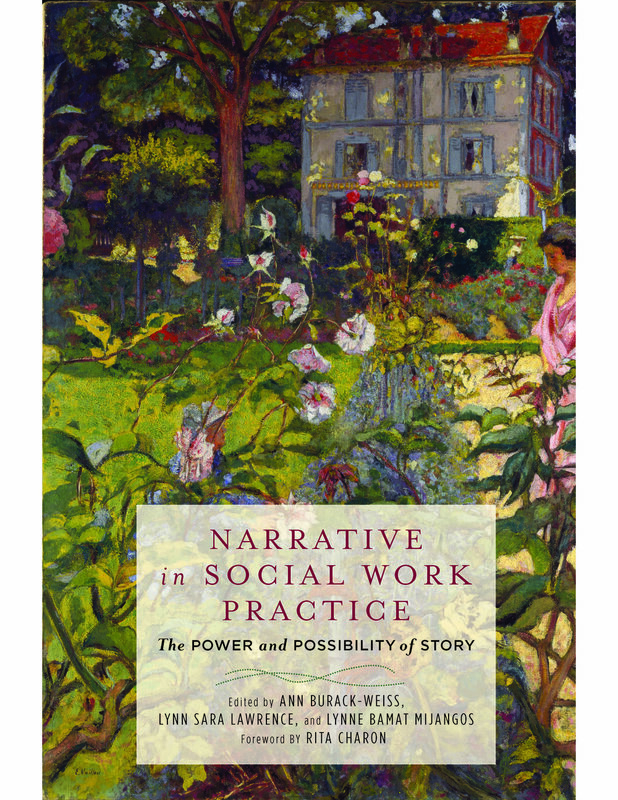 In particular, the book reports their experiences in the familial context, their understanding of the disease and the science involved, their decision-making processes, and their views regarding relevant social policies. Dr. Klitzman, who is the author of When Doctors Become Patients, A Year-long Night: Tales of a Medical Internship, In a House of Dreams and Glass: Becoming a Psychiatrist, and other works, provides a compelling and entertaining narrative that brings to life the struggles, realizations and often painful process involved in illness. The reader learns a great deal from the interviews. First, the interviewees are highly affected—mostly in negative ways—by these diseases. Bonnie, for example, who is at an increased risk of carrying a breast cancer gene, reports being terrified of the prospect of being tested positive. Such result, she claims, would hurt her more than help her, and would make her question her meaning in life (p.45). Others, such as Diane who had to undergo mastectomy, may feel depressed and as if they lost hope and control over their lives because of these genetic diseases (p.154). Zohar Lederman is a medical resident in emergency medicine at Assuta Ashdod hospital and a bioethics PhD candidate at the National University of Singapore. His PhD focuses on the ethics of One Health and culling as a public health measure. His other areas of interest include: end of life care, family ethics, the dual loyalty problem, ethics of infectious diseases and public health ethics. Lederman, who served on the editorial board of Intima: A Journal of Narrative Medicine, is a contributor. Imagine a medical student lingering outside the door of the anatomy lab, half eager to enter and yet half afraid. 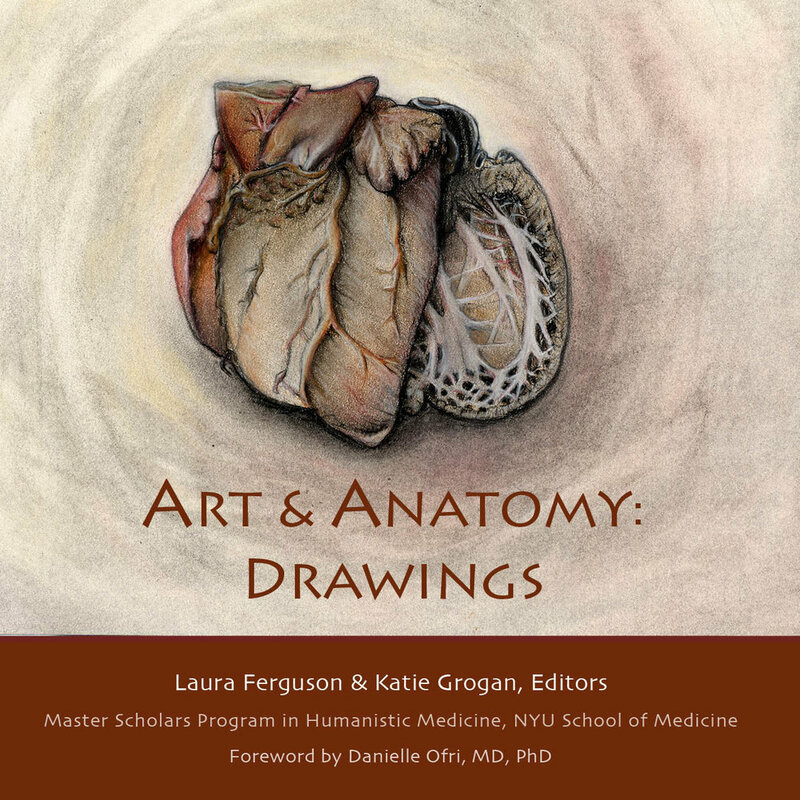 When she opens the door, the student will enter a place Danielle Ofri, MD, calls "Stuffy, smelly, drippy, disgusting" in her introduction to this beautifully conceived and presented volume entitled Art & Anatomy: Drawings by editors Laura Ferguson and Katie Grogan, published in 2017 by the University of California Medical Humanities Press.The student might wonder how she will ever survive learning to dissect the human body; how learn to balance the clinical and the humane; how to embrace the technical necessities while maintaining the creative passion that called her to medicine in the first place. Since 2009, Laura Ferguson, Artist in Residence at New York University's School of Medicine's Master Scholars Program, has been providing an answer to these questions, for medical students as well as for residents, physicians, nurses, and other medical personnel. On Tuesday evenings, Ferguson transforms the anatomy lab into an artist's studio, where she guides and encourages students as they study, and then draw, the beautiful bits and pieces of the human body. The purpose of her Art & Anatomy seminar, Ferguson writes, is not for students to create perfect art but rather "to experiment, to take risks" (page 134). Here there is no right or wrong, only the opportunity to look deeply and experience the human body artistically. The drawings in this book are intimate, sensual, and astoundingly gorgeous, presented in an order that reflects the eight sessions of the course. In session one, students each select a bone from the "bone box." Ferguson names the bones, shows where they articulate in the human skeleton, then invites students to study and draw their chosen bones, the whorls and dips. As they draw―vertebrae and spinal column, the drama of sacrum and pelvis, ribs, femur, the tiny bones of the foot―students learn forms that fascinate rather than facts to memorize. Ferguson also asks students to draw the bones of their own hands, to imagine bone linked to muscle and tendon, and perhaps to ponder how their anatomy is like or unlike that of their patients. Hannah Bernstein, on page 60, draws her left hand from without and within, including a scar that ladders down from the base of her thumb. Amy Ou draws her hand holding the hand bones of a skeleton (page 67), surely a way to connect her own living flesh with the reality of patient mortality she will encounter during her medical practice. Storytelling is encouraged. Jing Ye draws the pelvis with a fibula and radius intersecting, naming this "The Fiddler" (page 43). Shian Liu, titles the ribcage, drawn in strong strokes, "Ribcage, of Breath and Bone" (page 35). Karen Ong draws a cadaver in its protective bag, naming it, "Under My Skin" (page 106). Such storytelling encourages students to visualize the lives of their patients and to examine their own emotional responses to these imagined lives. In another session, students draw from life models, a chance to see the body both in motion and repose and so picture the movement of bone and muscle under skin. Students also draw from cadavers, an artistic and emotional challenge. Encouraged to observe in groups, students focus on details―not an easy task when faced with the lovely complexities of the opened body. In later sessions, students become even more intimately involved with the cadavers, removing individual organs to visualize their precise locations in the body and to observe the natural variations in human anatomy. Studying the organs they removed, students discover beauty in kidney, lung, heart, or brain. Some choose to draw the faces of their cadavers. Yohei Rosen's becomes a study in the planes and angles of the face (page 108); Michael Malone's "Bisected Head" is titled "Abandon" (page 115). “A schizophrenic is no longer a schizophrenic…when he feels understood by someone else” reads the epigraph on this quietly powerful book of poetry by pediatric nurse practitioner Katherine DiBella Seluja. 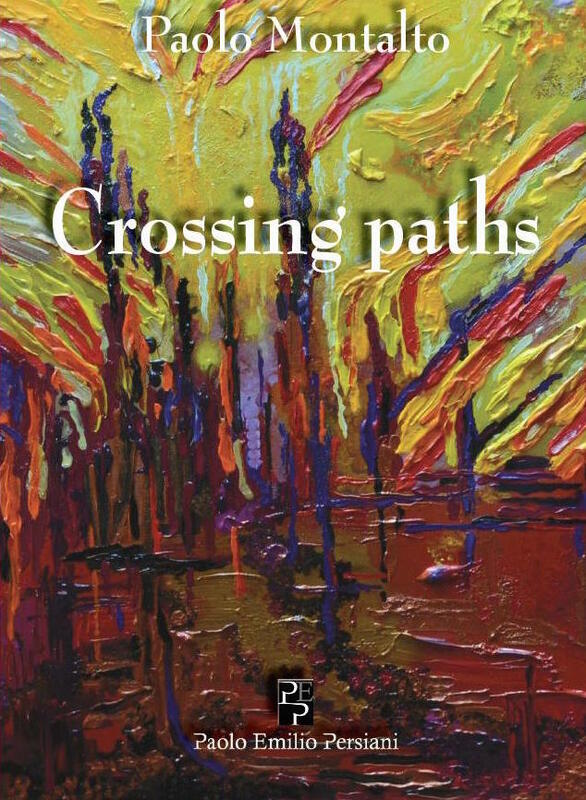 The words come from Swiss psychiatrist and psychoanalyst Carl G. Jung and introduce the reader to the emotional heart of the book, which movingly reflects the facets of the writer’s life, as a clinician, poet and understanding sister to a brother named Lou who lived with schizophrenia and substance addiction. The slim volume, published by the University of New Mexico Press, is divided into four sections: Time Travel; Free Concert; Sing to Me; and Stars Speak. Each section starts with a short free-form prose poem in an imagined voice, perhaps that of Lou’s, drawing a vivid visual tableau. In terms of overall structure, the book has a narrative arc that spans from childhood through adulthood, from beginnings to endings. Some poems are tales of families and communities dealing with mental illness in everyday life and in startling moments of illness and death. Throughout, Seluja, whose poem about Parkinson’s, “Not Every Homemade Thing,” appeared in our Spring 2017 issue, brings her vivid language, compassionate affection, deeply-felt visions and clinical observations into poems that transport readers close to the tragedies and the moments of inspiration, as well as the experience of grief and acceptance, as she receives and perceives them. where we used to play. he told us his crystals were melting. graphed hope for Sunday night storms. no two of him alike. Along with the concrete, graceful imagery of the poems, we also receive information about illness and madness—and how the clinical world handles it, especially in the second section, Free Concert. We hear from a doctor in “The Psychiatrist Said” (“It’s [the schizophrenia] all a matter of proteins/We’ll have it cracked in three to four years”), while we glimpse inside a medical facility in “Spinning with Thorazine.” We witness Seluja’s ambitious way of contemplating and confronting the big-picture issues of care in poems such as the ironic “The History of Healing” (“It began as a huddle of knowers, passed through oral tradition/those who could ‘heal’ and those who at least attempted”). The chilling “When Your Son is Diagnosed in the 1960s” notes an earlier era’s method of treatment and causes (“His psychosis is tied to your mothering/and it’s time to cut the chord, be careful of the sting”). Throughout it all, we get to know her brother Lou, a musician whose mandolin is elegantly described in “She Wore Opals at Her Neck” (“He fell in love with the mahogany curve/her hip and polish/the rosewood waist/and the way her neck fit to his palm”). Seluja expresses not only the affection and love she feels for him but also the wounds and wreckage that comes from a closeness with someone experiencing schizophrenia. There’s a complex layer of emotions at work here, that spans from caring and fearful to raging and raw, especially in the short “Telephone, 4 a.m.” where the resignation and anger in lines like “What if there were a box to keep him in/somewhere to store him away/to bring out with rainy weather/Then you’d have time to listen, unravel every line” comes through. In many of the poems in the Sing to Me third section, we intensely feel the frustration and fear for a loved one in peril. celestial sphere, their pulse echoes the meridian. into good orbit, your solar panels deployed to the stars. Donna Bulseco, MA, MS, is a graduate of the Narrative Medicine program at Columbia University. After getting her BA at UCLA in creative writing and American poetry, the L.A. native studied English literature at Brown University for a Master's degree, then moved to New York City. She has been an editor and journalist for the past 25 years at publications such as the Wall Street Journal, Women's Wear Daily, W, Self, and InStyle, and has written articles for Health, More and the New York Times. She is Managing Editor of Intima: A Journal of Narrative Medicine. Quite Mad is at once a well-organized history of mental illness, especially with regard to women, an examination of the role of the illness narrative, and a fascinating memoir of a woman’s struggle. "Organ transplantation always results in a crossing of paths: there is a life that ends and another that regains vital energy: hours of anguish and despair on the one hand, of apprehension and joy on the other. A cruel but inevitable crossing." These are the words of Dr. Paolo Montalto, a gastroenterologist who graduated from the University of Florence's Medical School after studying at the Hepatobiliary Unit of the Free Hospital in London. “Nothing so concentrates experience and clarifies the central conditions of living as serious illness,” wrote Harvard psychiatrist Arthur Kleinman, and nowhere is that idea more evident than in a new memoir entitled, The Bright Hour: A Memoir of Living and Dying (Simon & Schuster, 2017) by Nina Riggs. An accident sets off the events of Sara Baker’s novel The Timekeeper’s Son (Deeds Publishing, 2016), landing one character in the hospital. Ms. Baker, whose story “The Sun in Cannes“ appeared in the Spring 2015 Intima, weaves together the voices of numerous characters whose lives become entwined by the accident. An Iraq veteran fighting the “quiet conflict” of PTSD, a woman with memory loss who hides her disability as well as her misery, a man whose traumatic brain injury helps him make sense ofhis brother’s disability. These are a few of the many voices we learn from in Barriers and Belongings. PRISCILLA MAINARDI, a registered nurse, attended the University of Pennsylvania and earned her MFA degree in creative writing from Rutgers University. Her work appears in numerous journals, most recently The Examined Life Journal and Prick of the Spindle. She teaches English Composition at Rutgers in Newark, New Jersey. Her short story “Pretending Not to Know” appeared in the Spring 2014 Intima. No work better embraces narrative medicine than A Short Life, by Jim Slotnick. This prescient memoir, written in 1983 and published in 2014, narrates a young medical student’s terminal illness from pre-diagnosis to his final days. It is a song of life’s joys, deadly shortcuts in medical practice, the necessity of listening and paying attention, and the essential value of compassion. It is often startling and unsettling to read the work of a writer who has passed. In some ways, this is the norm—it’s rare that students in school read books by writers still alive. The distinction, however, is this: those writers—Shakespeare, Joyce, Woolf, even Salinger, who only passed a few years ago—aren’t writing about their descent into death as they lived it. Paul Kalinthi’s When Breath Becomes Air details the last year of his life as he, a neurosurgeon, fights metastatic lung cancer. It sounds depressing in summary, though the book lacks any trace of self-pity or of anger. It is written with intelligence and with honesty, a product of reflection and insight. We can trust him, the reader knows, to present his story to us the same way we could have trusted him to operate on our brains. His humanity is tangible. In the book’s introduction, Abraham Verghese makes note of Kalinthi’s “prophet’s beard,” an idea his wife Lucy later clarifies as an “I didn’t have time to shave” beard—but to readers of his book, it’s clear that Kalinthi was, in fact, a prophet in many ways. His observation that “life isn’t about avoiding suffering,” which he acknowledges in his and Lucy’s decision to have a child despite his prognosis, demonstrates the ways he understands the world beyond his own life. Experiencing illness as a doctor—and a sensitive, empathetic one—adds a moral gravity to his words. HOLLY SCHECHTER teaches English and Writing at Stuyvesant High School in Manhattan. She graduated from McGill University with a degree in English Literature, and holds an MA from Teachers College, Columbia University. She is active at Mount Sinai Hospital in New York City, where she received excellent care as a patient, and in turn serves on the Friends of Mount Sinai Board and fundraises for spine research. Her piece "Genealogy" appeared in the Fall 2014 Intima.